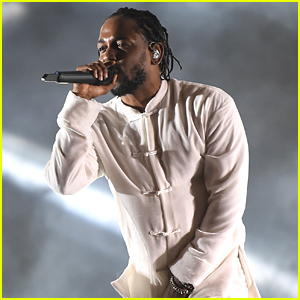 Kendrick Lamar Performs New 'DAMN.' Songs At Coachella 2017 - See The Set List! 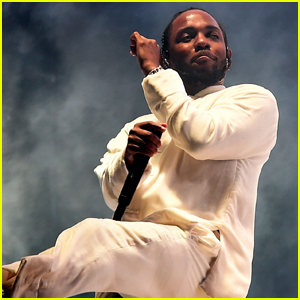 Kendrick Lamar dances it out as he hits the stage for his set during the third day of the 2017 Coachella Music Festival on Sunday night (April 16) at the Empire Polo Club in Indio, Calif.
Kendrick also hung mid-air with a dancer and performed “PRIDE.,” he closed with “HUMBLE.” before returning with “LOVE.” for the encore. 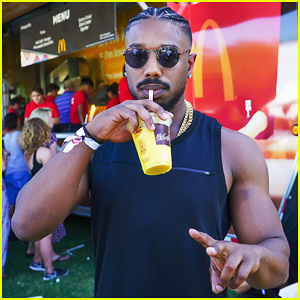 Michael B. Jordan Brings His Big Guns To Coachella For Weekend Two! Vanessa Hudgens is Having So Much Fun at Weekend Two of Coachella! Troye Sivan & Martin Garrix Debut New Song at Coachella - WATCH! Chanel Iman & Jamie Chung Go Back to Coachella for Weekend Two! 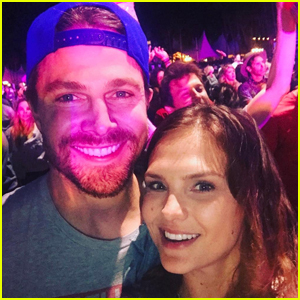 Stephen Amell's Wife Cassandra Totally Changed His Opinion of Coachella! Here's How Adam Lambert & Ashley Tisdale Got to Coachella in 30 Minutes! Nina Dobrev Spent the Weekend at Coachella! Brooklyn Beckham & Noah Cyrus Keep the Coachella Party Going on Sunday!